Q. What is my EBSCOhost login and password? ebsco username, why is ebsco asking me for a username or login? If an EBSCOhost database asks you for a username and password, this could be the result of one or two things. 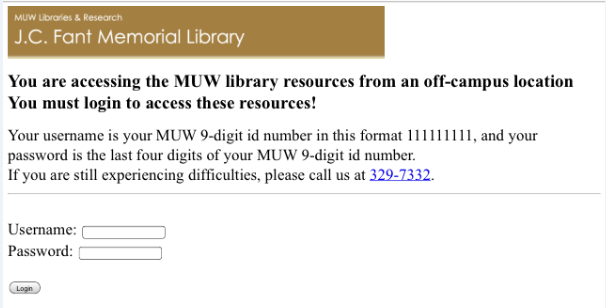 If you have already done this, and are still having trouble logging in and getting access to articles, please call (662-329-7334) or chat with us via Ask Athena to help you figure out what is going on!